The costume's not enough you'll need a badge. 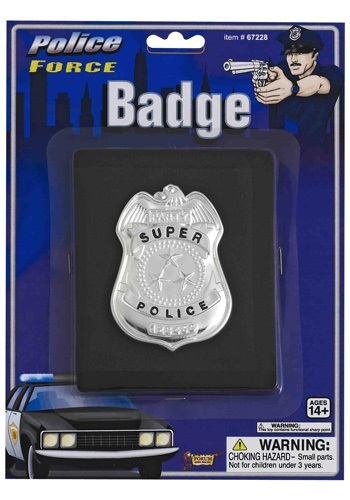 The wallet is black with a silver super police badge on the outside. The wallet opens and closes like a book for easy storage in your pocket. The badge is also a wallet!